This months Yunomi.us Tea Club contains three Sencha samples from the Kurihara family across three different grades: standard, superior and imperial. The perfect time to write a comparison review. The Kurihara family are known for growing gyokuro which has been growing on their farm since 1942. Located in the small town of Yabemura the primary farmer Akio Kurihara is a four time winner in the art of Southern Japanese tea hand rolling. Alongside gyokuro the Kurihara family also grow Sencha though they are not as renowned for it. Standard Sencha: “A blend of leaves from the Yabemura tea fields cultivated by younger brother Akio Kurihara steeps into a very basic tea for drinking on a daily basis with meals”. Superior Sencha Hime Kaori: The most basic of Kurihara-San’s branded “Hime” series, this tea is named for the strong kaori (aroma) it brings to your teapot for its quality. The word “Hime” means princess and refers to the local goddess Yame Tsuhime (and therefore the regional tea Yame-cha) was named after”. Imperial Sencha Hime Shizuku: “Second only to Imperial Sencha Yame Tsuhime, the Hime Shizuku has the rich umami-infused aoma that you more often associate with gyokuro tea leaves. The delicateness of the leaf makes it perfect for steeping t a low temperature to enjoy the umami as it delicately balances with the shibumi (or astringency) of sencha”. For my comparison I’m going to sample each tea individually starting with the standard sencha. Once I have completed 3 steeps from the first sencha I will clean my pallet with some water before sampling the next sencha. I shall carry on in this fashion until all three have been tasted and after each individual review I will compare. For those that are new to Japanese tea let me quickly explain umami. It’s known as the fifth basic taste after sweet, sour, bitter and salty. It translates to ‘pleasant savoury taste’ which is common amongst Japanese teas. I shall be using my Japanese Kyusu with all three teas. It contains a variety of leaf sizes and colours but overall has a nice glossy and dark green appeal. I can also note some stem pieces amongst the leaves. It has a subtle yet sweet sent with notes of grass, flowers and mineral. Specifically fresh spinach and geranium. Flavour: Light and sweet. Reminds me of sweet grass and geranium. Some dryness in the after taste but minimal. Flavour: Increased strength has lessened the sweetness and increased it’s mineral presence. I can taste fresh spinach and kale in particular. Rather dry in the after taste and with some astringency. Flavour: Back to mild strength. Sweet with gentle mineral (kale) after taste. Less dryness and astringency than previously though they are still present. The leaves are various lengths and sizes with a lovely shine to their mostly dark green colour. There are a few lighter coloured stems and leaves but not many, certainly not as many compared to the standard sencha. They have a beautiful sweet scent like geranium or jasmine flowers. Also a little perfumed and very sweet, like honey suckle. Flavour: Light and sweet. Umami is present but mild. The sweetness is the most dominant flavour and it’s very much like honey suckle. Very pure and floral. Also has a fresh hay flavour in the after taste. Flavour: Medium and sweet. Moderately umami with a sweet honey suckle after taste mixed with fresh cut grass. Stronger than the previous steep. A little astringency but it clears quickly. Flavour: Light and sweet. Getting strong sweet grass notes and only a gentle honey suckle after taste with minimal dryness and astringency. The umami is subtle but still present. The leaves are a variety of sizes but have a beautiful high gloss shine. Most are dark green but there are a few lighter stem pieces present. Not very many at all however. Scent is sweet and pure. Like honey suckle and cane sugar. Flavour: Light and sweet. Medium umami tones with a cane sugar after taste. Very smooth and buttery. Flavour: Medium and sweet. Still tasting medium strength umami tones but the cane sugar is softer than previously. Also getting some dryness in the after taste. Some mineral flavour is present, specifically seaweed. Flavour: Medium and sweet. Strong umami tones with mild astringency. The after taste is increasingly dry but with a beautiful pure sugar cane flavour that gets sweeter as it lightens. The Standard Sencha was nice but lacked flavour and depth. I agree that it could be used as every day drinking along with meals, it’s mild strength would not overpower your dish. The Superior Sencha Hime Kaori was sweet and full of flavour, out of the three I would say it had the most flavour overall as well as being the strongest. The Imperial Sencha Hime Shizuku was the sweetest of the three and tasted the most natural ie purest. Though it was light it was thicker than the Standard Sencha but this one had a buttery taste and the most umami by far. Comparing the leaves after steeps you can see that the Standard Sencha has some discolouration on the leaves while the Superior Sencha Hime Kaori has some leaves with discolouration and the Imperial Sencha Hime Shizuku has no discolouration. They made have looked very similar at the start but now it’s easy to see the difference in quality. In my opinion the best value for money would be the Superior Sencha Hime Kaori. Though my second favourite of the three it was a huge step up from the Standard Sencha and for only a few dollars more. If you are interested in any of these three teas then please visit Yunomi.us for further information. Enter the code tc1403knek upon checkout to receive 20% off any of the three teas above. Valid until August 31st 2014. Available worldwide and with no minimum spend. 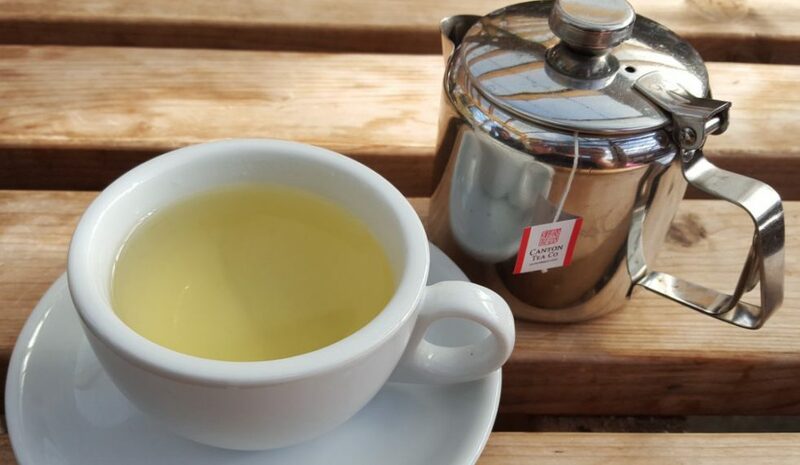 Next Post What’s so great about Green Tea?